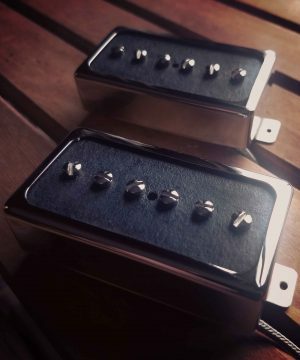 A P90 for your humbucker routed guitars! The V-90 is as close to the P-90 tone in a humbucker sized pickup as it gets. Chose from 4 different builds or have yours custom built to custom specs. All V-90’s are handwound. 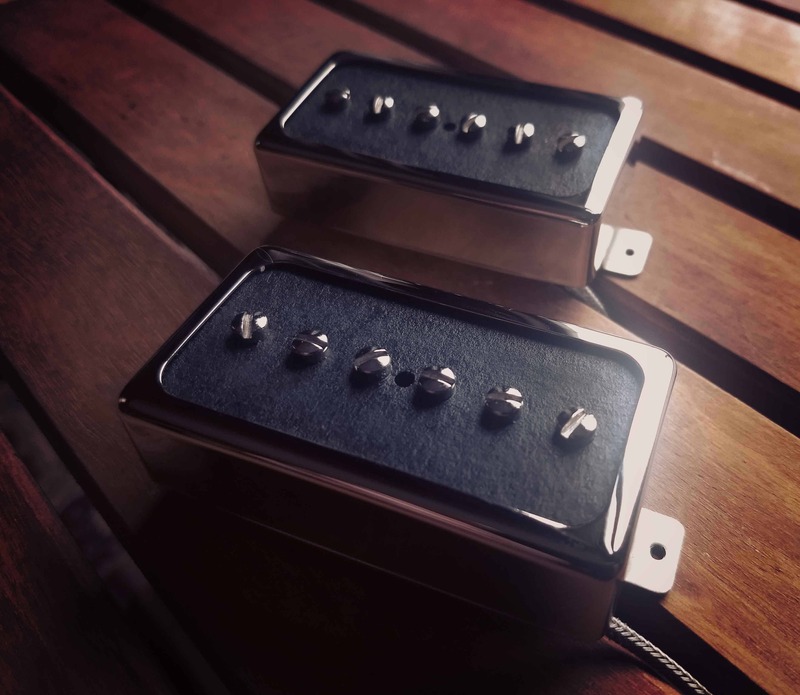 The original V-90 is constructed using Alnico II magnets. Want it a little extra bright and with a little extra spank? I’ll construct the V-90 using one Alnico V and one Alnico II. 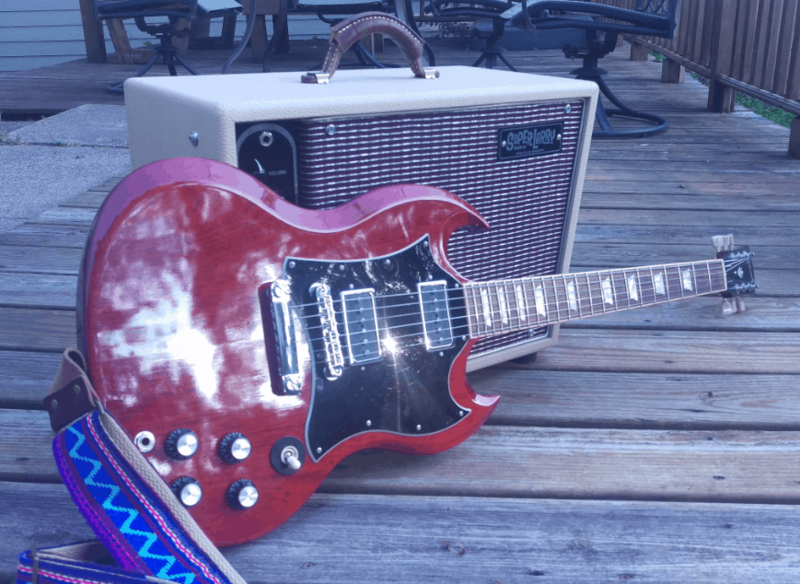 Custom builds can utilize Alnico II, III, IV and V for anything from a beautiful, open, vintage V-90 to a frequency balanced V-90. Because of the shape of the two pickups, there’s always going to be some difference. The V90 bobbin is wide and short like an original P90 and I wind them with a combination of 42 and 43 awg for P90 grit, P90 mids, and the lush and fat P90 tones. The grit, bite, mids and peculiar sweetness of a P90 in a humbucker sized pickup. The Jazz V-90 is a 50’s inspired pickup with authentic P90 tone. Wound with heavy formvar wire and built with rough cast Alnico III magnets the tone is lively and dynamic. The power of a humbucker with a wider frequency response and the singing mids of a P90. 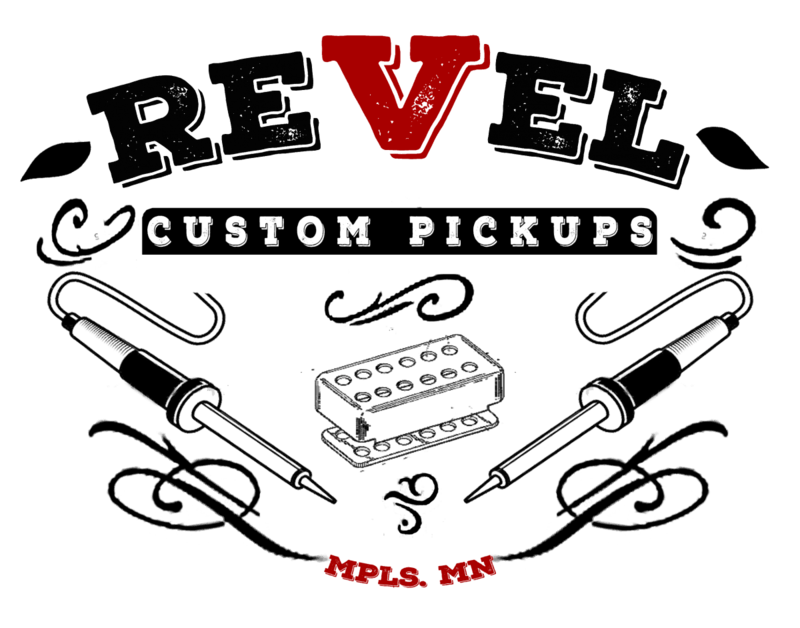 Percussive & vocal with sweetly rounded highs and softened mids. Great note separation and chime when clean/subtle break-up to classic distortion when dirty. Wound with plain enamel wire and built with rough cast Alnico II magnets. 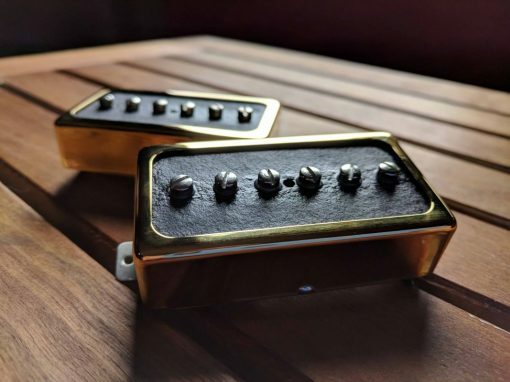 From copper and magnets this sorcerer of tone creates pure, amazing, and customized tones! We conversed back and forth a lot to decipher what I was looking for and Jesse, suggested a humbucker-sized p90 that had a little something special to it. He was absolutely right. The pickup he customized for me had the a great mid-range that articulated each note clearly and gets real nasty, in a good way, when it is dirty. It is spanky, punchy, and everything you would expect out of a p90 pickup with something just a bit more special.